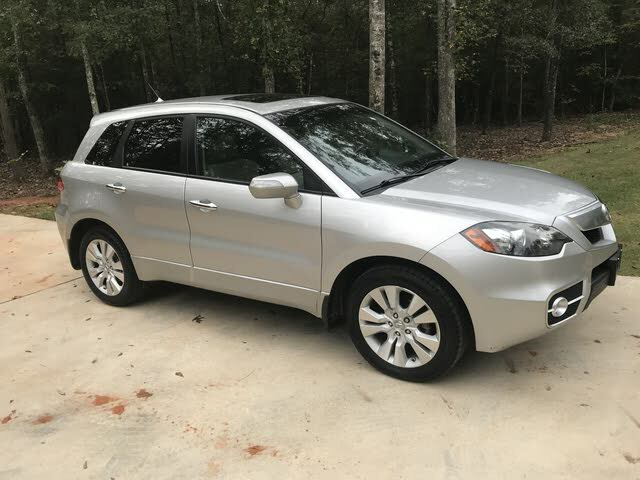 Some heady handling attributes, turbocharged power, a wealth of high-tech goodies, available all-wheel drive and a relatively affordable price all help the 2012 version of Acura’s venerable RDX stay afloat. Low-rent cabin materials, less-than-economical mileage figures, a jolting ride and a pesky tendency toward turbo lag from its 4-cylinder powerplant will turn some away from the high-end 2012 RDX crossover ute. Although sorely in need of an overhaul, Acura’s once-unique luxury-oriented RDX compact crossover chugs into 2012 with a lower base price than rivals, while still offering a fun drive and enough posh appointments to satisfy the status-seeking small family. Beware, however, that chintzy cabin appointments, noticeable turbo lag, an unconscionably large turning radius and the aging profile that also come with that attractive MSRP might be cause to check out the competition. Prospective owners might want to wait for the redesigned version rumored to be in the works for 2013. 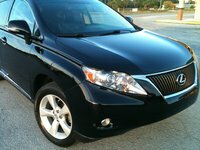 Those who need an entry-level luxury compact crossover SUV but don’t want to pay an exorbitant price might want to check out the 2012 Acura RDX. Sure, it’s not the most exotic looking mini ute out there, and the cabin is also a bit cramped, with rear seats that neither recline nor slide, leading to some achy knees on all but the briefest of journeys. Yet this downsized crossover has its attractions, including available all-wheel drive (AWD) and some of the best handling characteristics in its class. This pint-size crossover again comes in two trim levels, the front-wheel-drive-only (FWD) RDX Base and the SH-AWD. The “SH” designation stands for Super Handling, with the full-time AWD configuration providing extra power to the outside wheels in tight corners, leading to a surer grip and even niftier moves, not to mention instantaneous diversion of torque to the wheels that grip for confident winter wanderings. Do not, however, expect a bobble-free ride from the sport-oriented suspension that endows both trims. Features-wise, Acura’s RDX has degenerated from one of the more attractive and gizmo-laden compact crossovers in its heady debut year (2007) to a faded glory in need of some serious redecorating, inside and out. Yes, it carries most of the expected fancy features, but there’s little in this allegedly luxury-oriented mini ute to write home about. Each 2012 RDX trim again packs a turbocharged 4-cylinder powerplant that, alas, displays significant turbo lag on hard acceleration, according to reviewers. Those same reviewers do concede, however, that once it gets up a head of steam, this blown four-banger, under the management of a glitch-free shiftable automatic transmission, can flat-out move. Beware, however, that mileage figures may be somewhat disappointing. Rivals that have overtaken Acura’s cute ute in refinement, performance, roominess and features include the Audi Q5 and BMW X3, along with the Mercedes-Benz GLK-Class and Volvo XC60. Of course, all these competitors cost considerably more than Acura’s pint-size people hauler, but the automotive market is the traditional marker proving the old adage: You get what you pay for. Once again endowing the 2012 RDX lineup is a variable-valve-timed (VVT), turbocharged 2.3-liter inline 4-cylinder (I4) powerplant that, when mated with the standard 5-speed shiftable automatic transmission, nets 240 hp at 6,000 rpm and 260 lb-ft of torque at 4,500 rpm. Fuel economy in this downsized Acura is a tepid 19 mpg city/24 highway in the Base FWD version and a downright scandalous 17/22 in the SH-AWD edition. For those so inclined, towing is maxed out at a properly equipped 1,500 pounds, far less than Audi’s Q5, for instance, which accepts almost 3,000 pounds more trailer-pulling capability. Again, the corner-beating, snow-trumping SH-AWD trim sports a 50/50 torque split to the front and rear axles for some nifty moves on dry roads, with the AWD system ready at a millisecond’s notice to automatically move torque from the wheels that slip to the wheels that grip when surfaces get slippery. Distinct turbo lag once again leaves reviewers frustrated with this little crossover’s performance attributes, though all admit that once it gets going—and the torque-steer wrestling match is over—this pint-size people-hauler can get from 0-60 in a respectable 6.7 to 6.9 seconds, depending on Audi’s version of events or, well, other people’s versions. In any case, this little Acura’s 5-speed automatic is praised by most reviewers as alert and responsive, with a few media types pleased by the pleasant turbo whoosh they claim replaces the rackety ringing of V6-toting rivals. Others, however, remain unimpressed with the drone of what some call turbo whine resounding throughout the journey. Again for 2012, Acura’s undersize RDX sports a 4-wheel independent suspension with MacPherson front struts, a multi-link rear end and stabilizer bars bracing both front and rear. All RDX variants also roll on 18-inch alloy wheels mounting all-season tires. Virtually all reviewers are again disappointed with this allegedly luxury-oriented crossover’s all-but-nonexistent ride comfort. Much rattle and shake is noted over all but glass-like surfaces, claim almost all reviews, while rougher roads are noted to be an exercise in maintaining calm in the face of disaster. Handling, on the other hand, is lauded by reviewers as a major offset to the bone-jarring ride. Steering is precise and well-weighted, at least at speed, though some reviewers mention that a bit of extra effort is required in low-speed maneuvering. Reviewers are also quick to point out that as well as the FWD base RDX handles corners and traffic jinks, the SH-AWD is twice as nice in that regard. There is, furthermore, mention in a number of reviews that body-lean can be anywhere from moderate to almost nonexistent in hard turns, but in any case it’s not a factor in tossing this little ute around rural roads. Brakes, finally, are noted in most reviews as powerful and true, with tests finding a FWD-equipped RDX stopping in a decently competent 125 feet. Lest one get complacent, however, at least one review mentions a bit of sponginess in the brake pedal. Standard appearance features for both 2012 RDX trim levels remain, besides the 18-inch alloy wheels, a power sunroof, rear spoiler, privacy glass and heated power-adjustable mirrors. In the cabin, look for leather upholstery, heated power-adjustable sport front seats with memory for driver's settings, remote power door locks and power windows. Standard cruise control is operated via steering-wheel-mounted buttons, while the leather and simulated alloy, telescoping and tilting steering wheel also boasts paddle shifters and redundant audio controls. A universal remote garage door opener remains standard, as does a rear-view camera with (auto-dimming) rear-view mirror display. Wood, leather and simulated alloy trim pieces, meantime, decorate this little ute’s interior spaces, and passengers are embraced once again with dual-zone auto climate control. Bluetooth hands-free calling heads the list of standard techno goodies aboard, joined by a 360-watt audio system that remains bolstered by a 6-CD changer, 7 speakers, satellite radio, an auxiliary iPod input and a USB port. By far the most intriguing option in this abbreviated Acura is the Technology Package, with its selection of upgrades to audio, direction-finding and climate-control capabilities. This popular package boasts GPS-integrated and sun-sensing auto climate control, a navigation suite with an 8-inch dashboard-mounted display and voice activation, real-time traffic and a 10-speaker Acura/ELS Surround Sound system. Further dealer-installed add-ons, meantime, include splash guards, upgraded cabin accents and remote engine start. Total cargo area is a respectable though far from class-leading 60.6 cubic feet with the rear seats folded, while 27.8 cubic feet of storage space to the upright rear seatbacks is enough for a hefty load of luggage or groceries. Reviewers are distinctly uncomfortable with the low-rent cabin atmosphere they claim reflects poorly on this pint-size ute’s luxury-oriented aspirations. Reviewers also complain that the cabin is neither particularly quiet nor especially roomy, with too much hard plastic making it hard to swallow the posh posturing that Acura maintains in its aging compact crossover. Visibility, finally, is noted as challenging to the rear, sides and directly aft, while comparatively narrow doors make entry and exit a bit of a struggle. On a more positive note, reviewers are impressed with the readability of gauges as well as the simplicity and location of most controls. However, there are some who question the loss of much of that simplicity when confronted with the work-in-progress navigation system and upgraded audio components included in the available Technology Package. The more noteworthy standard safety features aboard Acura’s 2012 RDX include 4-wheel antilock brakes (ABS) with electronic brakeforce distribution and emergency braking assist, as well as the obligatory traction and stability control. Of course front and rear head airbags once more are delivered in this cute ute, as are dual front side-mounted airbags and front head restraint whiplash protection. Secondary standard safety equipment, meantime, includes turn-signal-integrated mirrors, daytime running lights, front fog/driving lights, xenon high-intensity-discharge (HID) headlights and a remote antitheft alarm. The National Highway Traffic Safety Administration (NHTSA) has tested only the 2012 RDX SH-AWD trim, and that only for rollover protection, for which the Administration awarded its second-best 4-star rating. The Insurance Institute for Highway Safety (IIHS), meanwhile, gives this compact crossover its highest score of Good in all criteria except roof strength, for which a second-worst score of Marginal was earned. 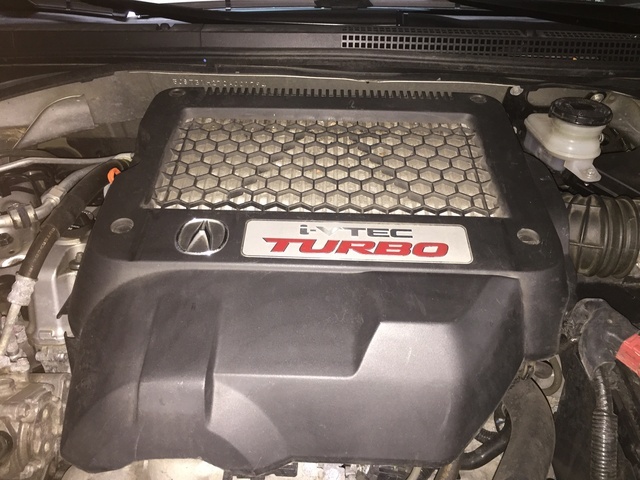 Although most owners remain satisfied overall with their new RDX, there are those who have commented negatively on the noticeable turbo lag from the blown I4 powerplant. The stiff ride common to this downsized Acura has not endeared it to a whole lot of owners, while a hefty number also grouse about its tepid mileage numbers. Cabin room, especially in the rear seats, is also a cause for some owner dissatisfaction, though there are those who claim it to be at least acceptable. Almost all owners agree that cargo space is less than commodious, though a few claim that the abundant cabin stowage makes up for this perceived shortcoming. Finally, this quasi-cute ute’s overabundance of low-end cabin materials leaves more than a few owners feeling less than pampered. On the other hand, a lower MSRP means more ute for the money to a majority of owners, while the RDX’s handling attributes have virtually all owners lauding its smile-inducing sportiness. Owners also comment favorably on the turbocharged power that’s displayed once this pint-size people hauler gets up a head of steam, and despite some media criticism about its dated look, this compact crossover’s profile draws a share of owner satisfaction, while the dashboard and control layout also come in for a slice of owner delight. 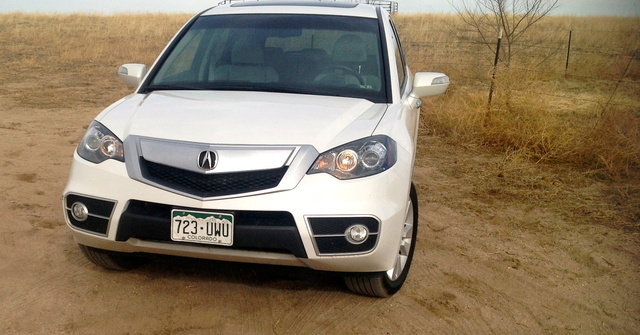 What's your take on the 2012 Acura RDX? 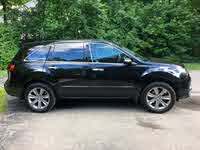 Have you driven a 2012 Acura RDX? 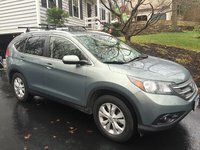 Will It Damage My 2012 RDX To Use Regular Gas? I see lots of differing opinions...manual "recommends" 91 octane or higher....I'm ok with less power but I don't want to damage my engine.